The Phillies have been losing as of late and are completely out of character. 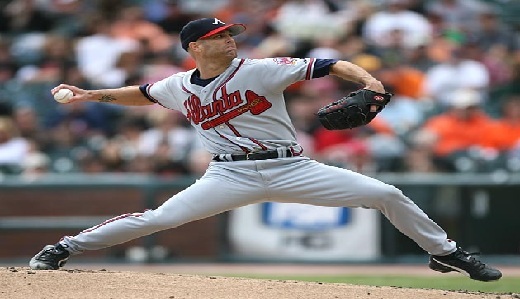 The Braves have Tim Hudson going and they hope that he will extend the losing streak for Philadelphia. The Phillies, however, are battling back with Roy Halladay. Halladay has been absolutely unstoppable in 2010, just as he has been for many years. It is unlikely that the Braves are going to break Halladay’s code on Wednesday. The Phillies can beat up on Hudson, they have unending weapons, but they need to get back into a groove. Philadelphia puts up big innings, but they can be very streaky. The Phillies lost in extra innings on Tuesday against the Braves, despite a phenomenal showing by the inconsistent Kyle Kendrick. Philadelphia was a heavy underdog, an abnormality in itself, but they are usually the team making a comeback, not blowing a game. This loss was surely a major frustration, especially after the losses that lead up to it. It is early in the season, though, and there is plenty of time to make up for it. If the bullpen continues to squander games for the Phillies, they are probably going to see their daily lines being shaken up. With all of the losses considered, the Phillies should be a heavy favorite on Wednesday. They are the favorite on the moneyline, but they aren’t being given as much credit as they should be. Normally, the moneyline would be the best play in this game, as Halladay can tame any offense, but not today. Since the Phillies are trying to get their offense back on track, runs are far from a certainty. Taking favorites is not usually advised, but at -145 on the moneyline, the Philadelphia Phillies are a good bet to beat the Atlanta Braves.